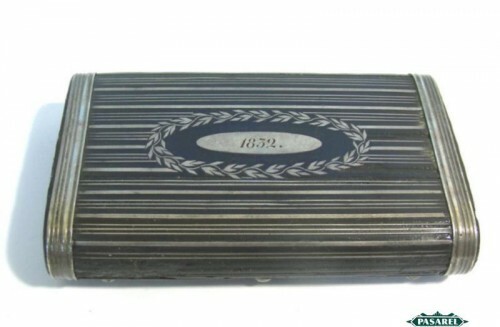 Pasarel - Continental Silver Mounted Wood Table Snuff Box, 1832. 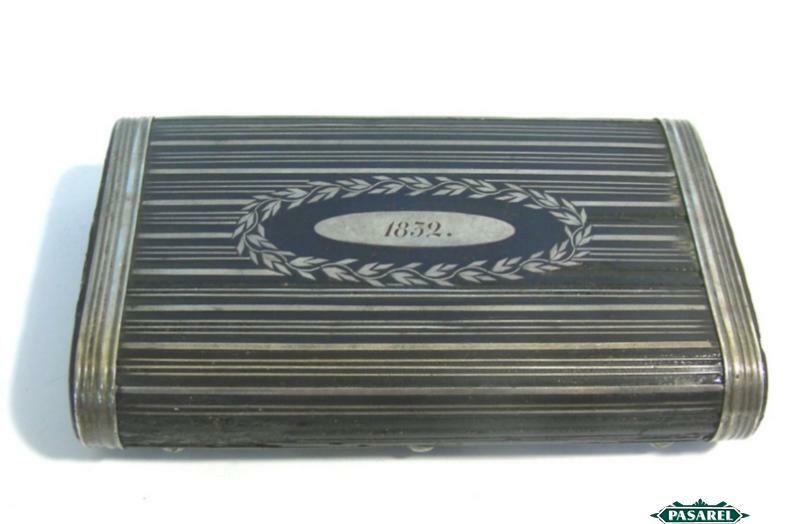 Continental Silver Mounted Wood Table Snuff Box, 1832. This quality work case is beautifully decorated with inlaid silver floral, foliate and stripes ornaments. 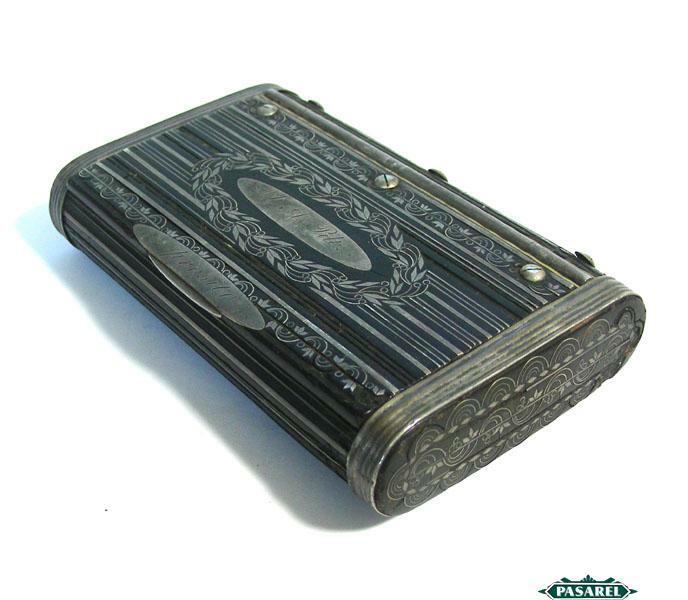 The lid is engraved in two separate cartouches – “J.A. 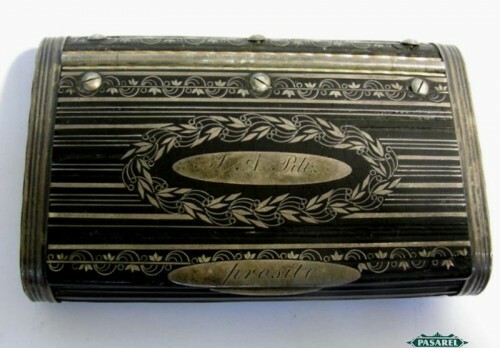 Piltz” and “Prosite”, the reverse is engraved with the year “1832”. 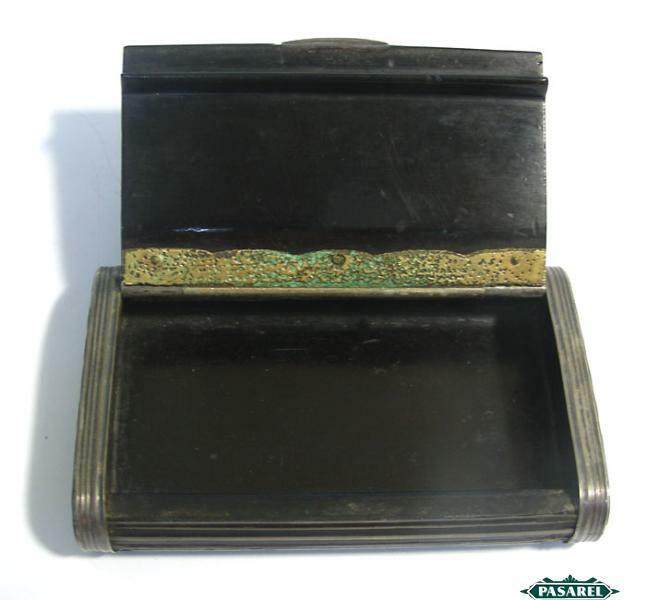 Can also be used as a cigarette case. 6.5cm X 10cm / 2.56in X 4in.